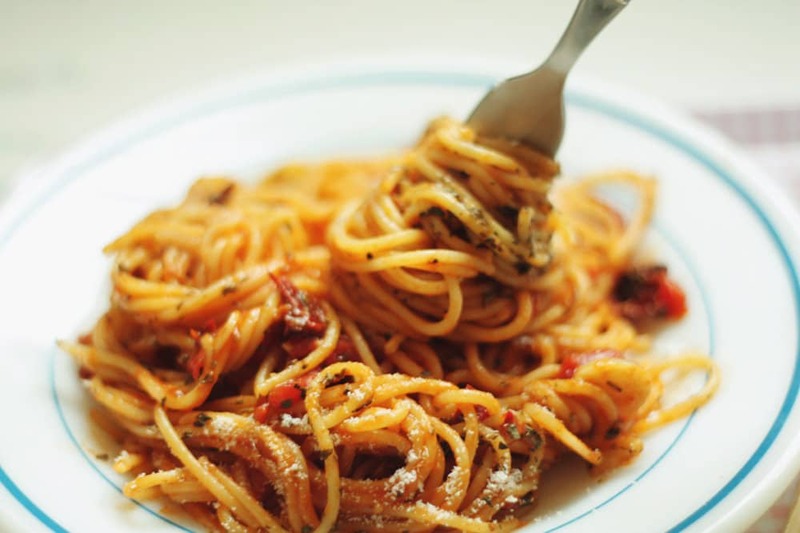 Pasta is a tasty staple food and it can be of different tastes in different pasta dishes. 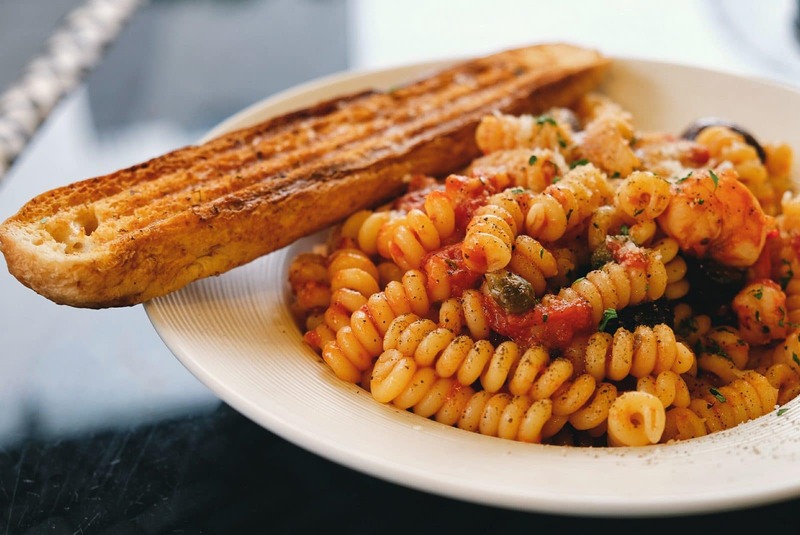 Popularly it is believed that pasta is from Italian origin although there are different opinions from a group of culinary experts that Pasta came from China origin. Pasta is a kind of noodle and generally, it is prepared from a unleavened dough of a Durum Wheat Flour. In some instances, the pasta dish is prepared from the flour of cereals and grains. Pasta helps to build a healthy eating lifestyle. What kind of pasta is shaped like a bowtie? Different sizes of pasta are available all across the world. 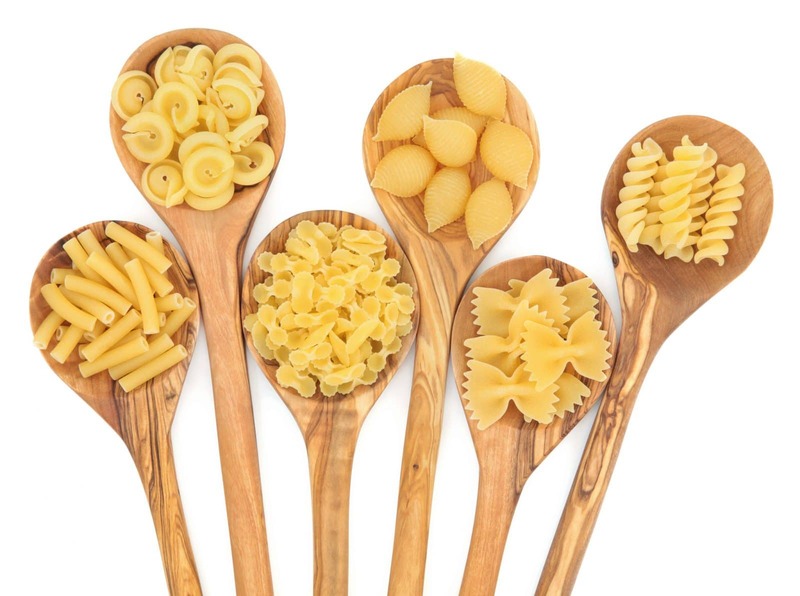 Some of the most popular types of pasta are long pasta (spaghetti, angel hair), soup pasta (orzo, alphabet), tubes (penne), stuffed (tortellini, ravioli) and special shapes (farfalle, fusilli). In fact, in Italy there are 350 sizes of pasta available in the market; all are known under different names. In Italy, name of pasta often varies with local names. For example, Cavatelli type of pasta in Italy is known in 28 different names all depending on the regions and towns where these pasta noodles are manufactured. Chefs select diverse shapes of pasta for different culinary purposes. For example, different shapes of pasta can hold different quantities of sauces and that cooks different taste of the pasta. A variety of pasta dishes can be prepared and served with different types of pasta sauces. Different types of pasta are found for cooking. However, some of the main varieties are dried and fresh pasta. Dried and fresh pasta is also found in different categories. 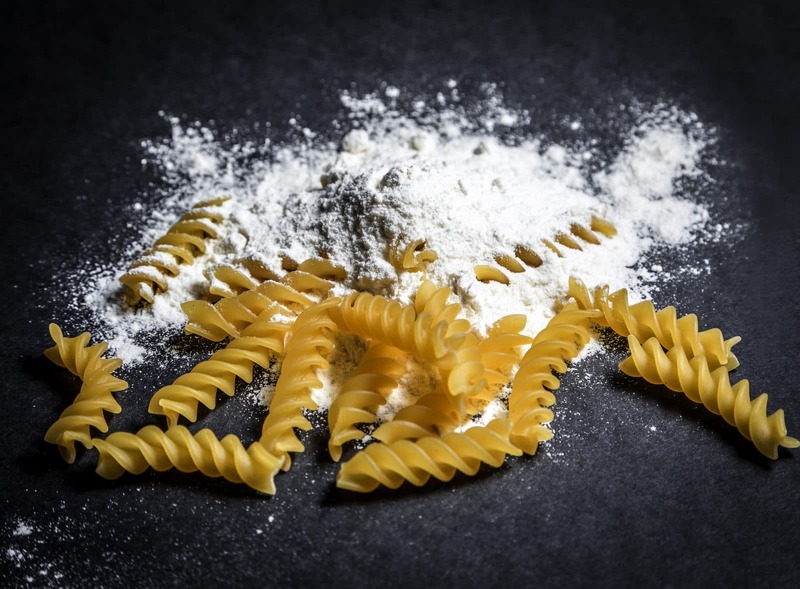 Dried Pasta is available in the market under three subcategories: these are Durum wheat semolina pasta, Low-grade durum wheat semolina pasta, and Durum wheat whole meal pasta. Predominantly made with durum wheat, water, and whole semolina meal as well as soft wheat flour, these pasta varieties become soft after cooking in contrary to their dry variety. Fresh Pasta is called Pasta Fresca, is made with complex humidity, and is found in a few varieties: however, most of the varieties are more regional than their different tastes and flavors. 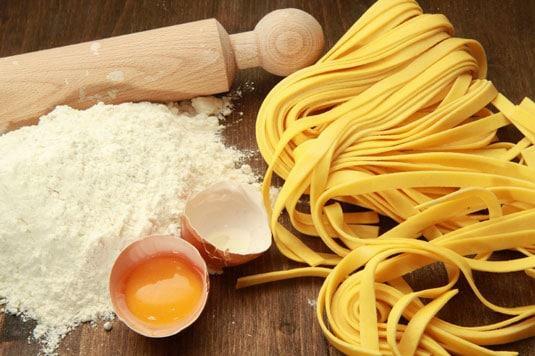 For example, Northern Italy convention uses all-purpose flour and eggs, while southern Italy convention adds the standard semolina and water mixture for making pasta. The Emilia-Romagna region in Italy often serves fresh pasta with special cream sauces. Another regional disparity is found in Piedmont where the combo of butter and black truffles is a common ingredient. Other ingredients may vary, from potatoes to ricotta. 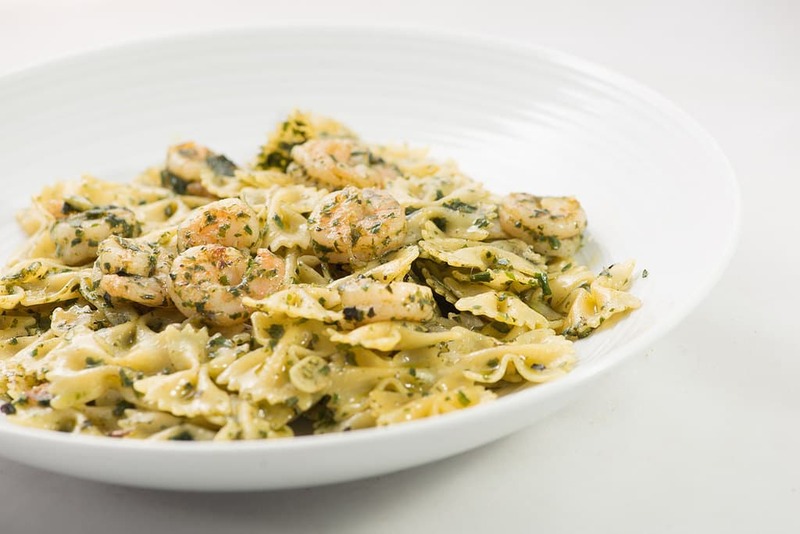 Special Pasta is made with extra ingredients like spinach, egg other than flour and water. Special pastas are found in Italy with a special package where additional ingredients are mentioned in detail. The 3% soft flour limitation is applicable here also. In Italy, Egg Pasta is prepared with unleavened semolina dough, made either of wheat or buckwheat, cooked in boiling water, and, in some instances, veggies are added to the dough. This variety included fresh and stabilized pasta, made of s﻿﻿﻿﻿oft-wh﻿﻿﻿﻿eat flour. Prepackaged fresh pasta maintains water content around 24%, must have undergone a heat treatment at least equivalent to pasteurization. Stabilized pasta is manufactured using a process and heat treatment that allows it to be transported and stored at ambient temperature; once made it has to be consumed by next 5-7 days. Different types of pasta are used in different cuisines. Some of the most used pasta varieties famous all over the world are Acini Di Pepe, Anellini, Barbina, Bigoli, Bucatini, Caccavella, Candele, Capunti, Casulli, Cavaturi, Ditalini, Fusilli Bucati, Girasole, Tuffoli, Vermicelli, etc. It is an Italian Pasta dish. In addition to whole-wheat bigoli type of pasta, other ingredients used to prepare this dish to include onion and salt-cured fish. It is an Italian dish and is prepared with different ingredients like eggs, cheese (Pecorino Romano or Parmigiano-Reggiano), bacon (pancetta or guanciale), and black pepper. Spaghetti is added to Carbonara as the pasta. This is a famous pasta dish from Italian cuisine. Any kind of pasta along with Pecorino cheese is used for its preparation. Freshly crushed black pepper can be added later for extra flavor and taste. The dish is usually cooked with regular long, thin spaghetti such as astonnarelli, vermicelli or pici. It is a special pasta dish of Italian origin, and it is prepared with different layers of lasagne sheets swapped with tasty and freshly prepared sauces along with other numerous ingredients. Extremely popular worldwide, this special pasta dish is cooked in Italian cuisine predominantly, although it has been widely accepted in US cuisine as well as in Indian cuisine. It is an easy to prepare pasta recipe where ingredients are used macaroni and cheese in its preparation, however, under chef’s discretion, the dish can be prepared with macaroni and cheese as the pizza crust or as a topping. It is easy to cook pasta dish from Italian origin. All fresh ingredients are used in this recipe. These include pasta, tomatoes, onion, garlic, chopped basil and few other ingredients to add more layer of taste in the preparation. This is a worldwide famous lip smacking pasta recipe that pasta lovers hardly can resist. Although the making of salad can be of different types under the personal discretion of the cook, however, the common ingredients used here are one or more than one types of pasta, typically chilled, and mostly tossed in vinegar and oil or mayonnaise-based dressing. You can add boiled veggies, tomatoes, green chilli, for adding special and customized taste in the salad. This dish is prepared with baked pasta, some quantity of rice, or fried potatoes, and other veggie ingredients. 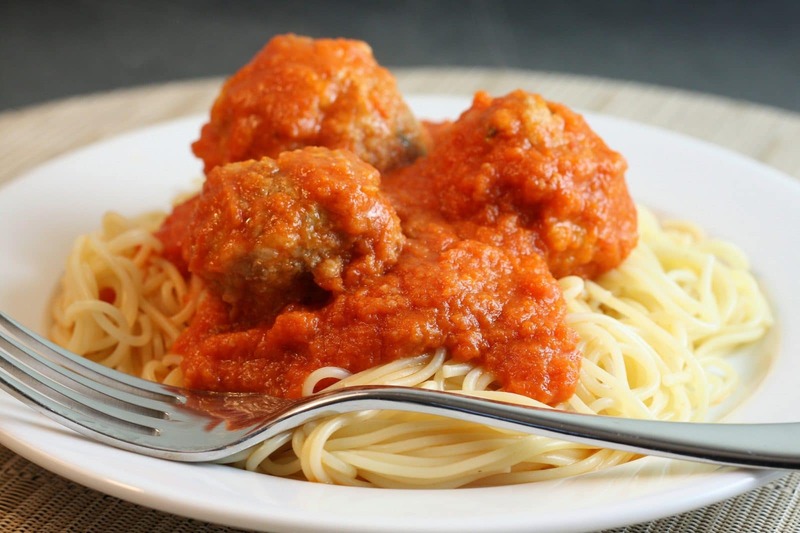 It is an Italian-American pasta recipe that usually made of freshly boiled spaghetti, tomato sauce, and lightly fried meatballs. A pasta dish from Italian cuisine and it is found consisting of penne in a tomato sauce with beef or sporadically pork, mushrooms, and carrots and topped with grated "queso bola". However, the cook can add other vegetables according to personal discretion. The yummy dish is cooked with filled egg pasta (dumpling) and served hot with the pasta sauce. Pajata is a term used for explaining intestines of an "un-weaned" calf. For preparing the dish, the intestines are dressed and skinned, but the chyme is left inside that turns into a cheese-like thick sauce while cooking. 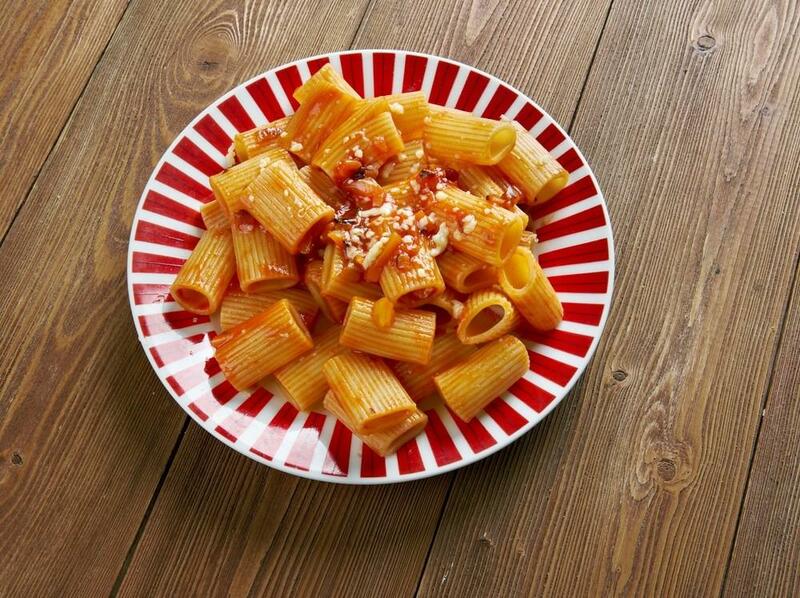 Pajata, simmered in a typical tomato sauce, is usually served hot with rigatoni in a traditional Roman dish. 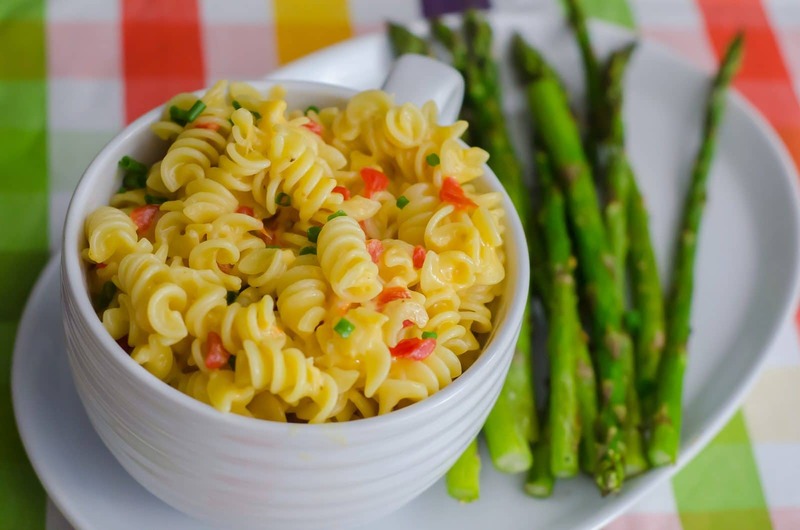 This tasty pasta, as the name implies include macaroni as a key ingredient. When served with beans, this traditional Italian dish is named as pasta e fagioli. Parmesan cheese can be added for enhanced taste. Since early 19th century, macaroni soup is counted as one of the most famous dishes in Italian cuisine. One of the most applauded pasta dish from American cuisine: The dish is prepared with elbow macaroni and bits of sautéed ground-beef, onions, and green peppers in a thick tomato-based tangy sauce. Farfalle pastas are made with bow-tie like shape. Although the pieces may vary in size, but the shape of pasta remains the same. The farfalle is either made from oval or rectangle shaped pasta. Within the tangled edge, two sides of the pasta you opt for are trimmed while the center remained pinched at one point to retain its bow-like shape. 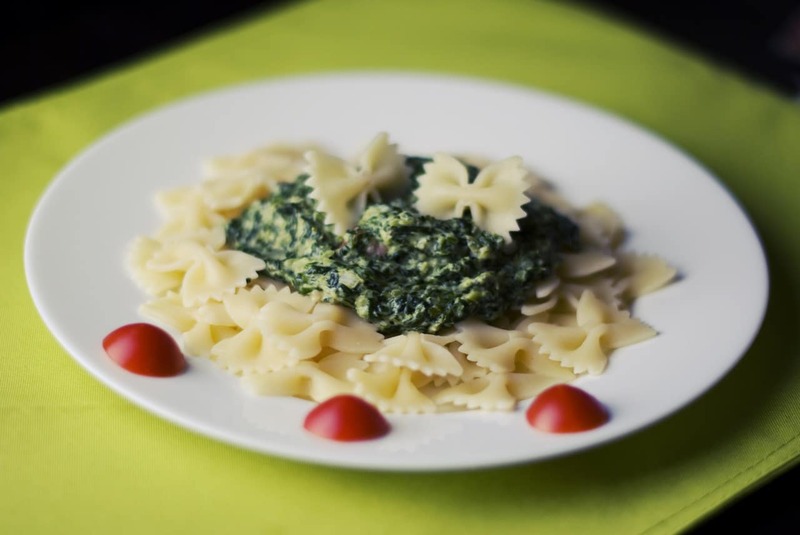 Farfalle pastas are available in different varieties, and these are plain, tomato, and spinach. Chefs may use different types of sauces to cook this special variety of pasta. However, in Italian culinary convention mostly these pastas are cooked with while sauce, cream, and tomatoes. Different colors are added with the different kinds of pasta dishes: for example, beetroot is added for creating red hue, spinach is added for green hue, and cuttlefish ink for black tinge. Different types of pasta sauces are served with different pasta dishes. These sauces are special delicacies and are largely responsible for the taste and flavors of pasta served. ​Amatricana - A specialty pasta sauce is best served with grated parmesan or likes me you can serve it with chopped parsley or Pecorino Romano cheese. Key ingredients of this sauce include freshly chopped tomatoes and bacon, thinly sliced onion and garlic plus the finely chopped chili. 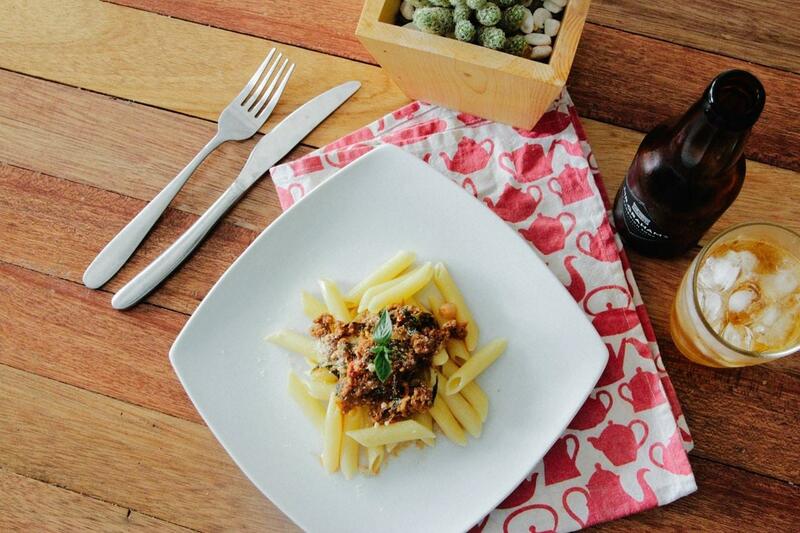 ​Bolognese - This sauce is prepared with rich meat flavored with chicken livers, wine, vegetables, and nutmeg. Chefs serve with butter and grated cheese; sometimes cream is added to the sauce. This sauce is known as ragu in parts other than Bologna. Burro - Pasta sauce made with butter and grated Parmesan cheese. ​Cacciatore - This is a special pasta sauce made of minced meat and a vegetable sauce flavored with juniper. Frutti di mare - exclusive pasta sauce made of seafood ingredients. ​Funghi e piselli - sauce made of blending of mushrooms, bacon, and fresh green peas. Marinara - Special tangy tasted pasta sauce made of fresh tomato puree, virgin olive oil, a fresh paste of garlic and basil. 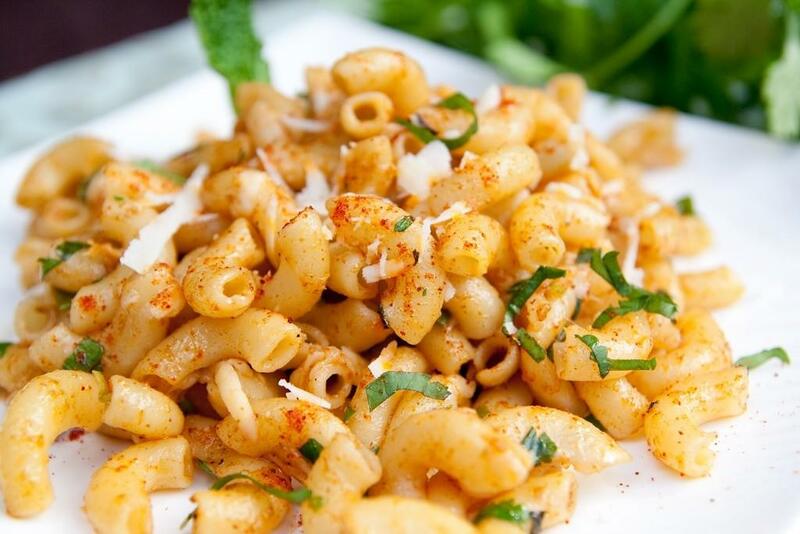 Noci - Pasta sauce made of pounded walnuts and pine nuts flavored with oil, garlic, and freshly chopped parsley. 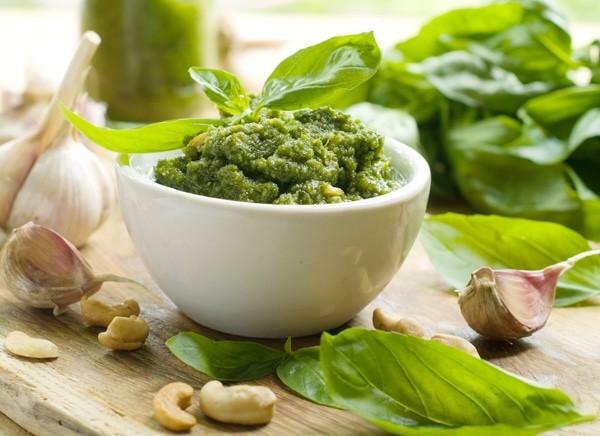 Pesto - A smooth combination of basil, garlic, pine nuts, shredded cheese, and oil. This sauce looks like a smoothie. Pomidoro - freshly pressed tomato sauce to serve with hot pasta dish. Romana - A special pasta sauce prepared with meat and chicken sauce along with chopped mushrooms. Tartufata - It is specially prepared pasta truffle sauce flavored with Marsala or white wine along with fresh garlic paste. Umbria - It is a delicately prepared pasta sauce with pounded anchovies, oil, and chopped garlic finely flavored with fresh tomatoes and truffles. Vongole - It is a specially made clam sauce flavored with a fresh paste of onions, tomatoes, virgin olive oil and freshly pressed garlic. 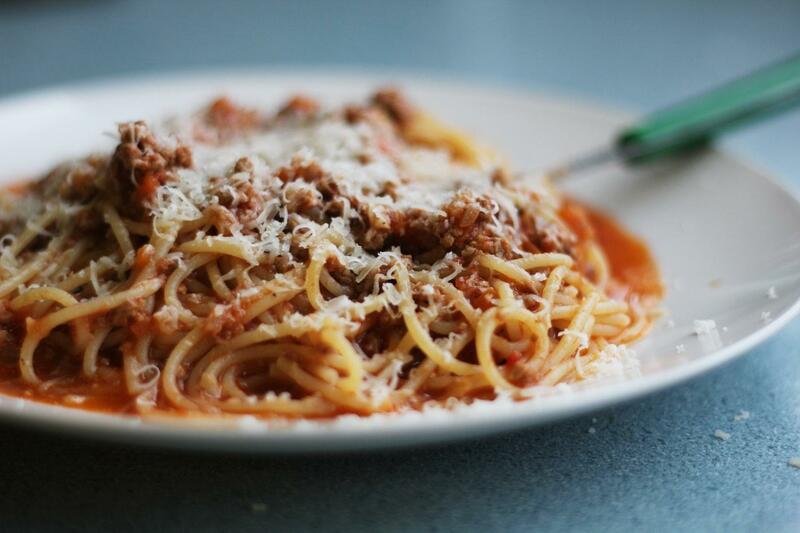 Spaghetti: This is the most popular variants in pasta. This is best cooked with tomato or cream sauces. It cannot be used in pasta salads. Vermicelli: It can be cooked similar to spaghetti. This variant of pasta is used with very light sauces or break up the rods and use in soups. ​Fusilli = Spiralli: This type of pasta is shaped like screws or springs, and they are mostly used for making pasta salads. This variant can be used with thick sauce preferably. 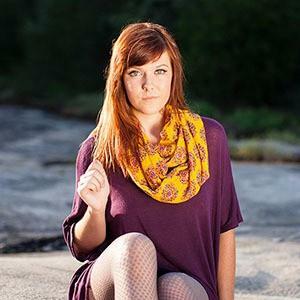 ​Tubetti: this variety of pasta is like tubes and mostly used for making soups. Penne: This pasta pieces are like short tubes cut on the diagonally for making saucy pasta dishes. It is a versatile variant and tastes yummy when used with sauce in pasta salad and chicken casserole. Conchiglie: this is a kind of SHELL PASTA looks like conch shells: this pasta is cooked with tomato or meat sauces or in pasta salads. Farfalle: This butterfly shaped pasta appears identical to bow ties and is often served in pasta salads or chunky sauces. Ravioli: This small, square pillow of pasta is traditionally stuffed with ricotta cheese and spinach. I love topping it with tomatoes and grated parmesan. Other serving options include Pecorino cheese and cream sauce. 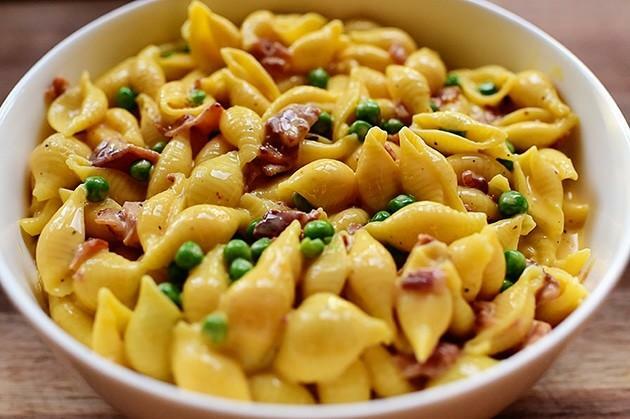 Tortellinis are little circles of pasta filled with meat or cheese. A larger version of this pasta is called tortellini. This variety of pasta is ideal for using in clear soups with cheese or tomato sauce. You can cook the pasta easily at home and serve it with yummy sauces. The guidelines and tips of pasta dish will surely help you to cook some great pasta recipes. Use vegetable oils in small amounts when preparing any of your pasta dishes. Be careful when cooking as over-cooking causes them to disintegrate. ​Adding vegetables instead of meat to the light tomato sauce is a nutritious option. 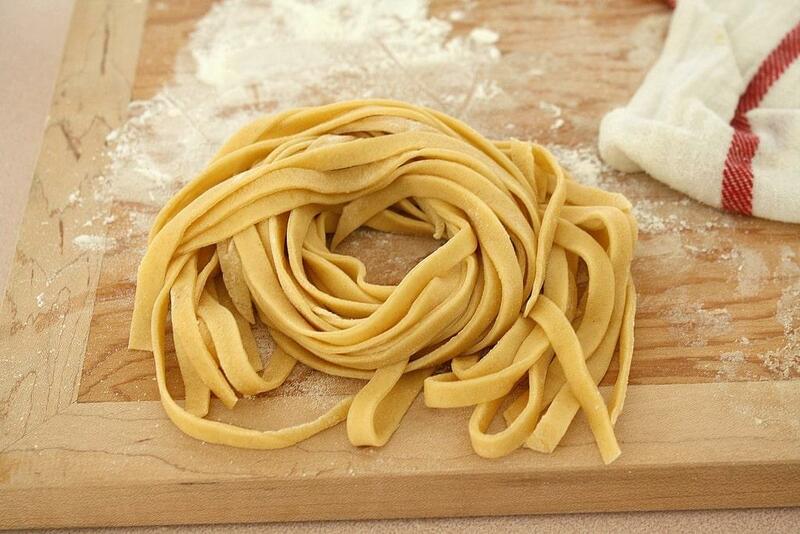 ​Use the leftover cooked pasta within 3 days and always keep it in the refrigerator. Keep stirring the pasta at regular intervals while cooking. If you add salt in pasta’s boiling water, you need not add more afterwards. 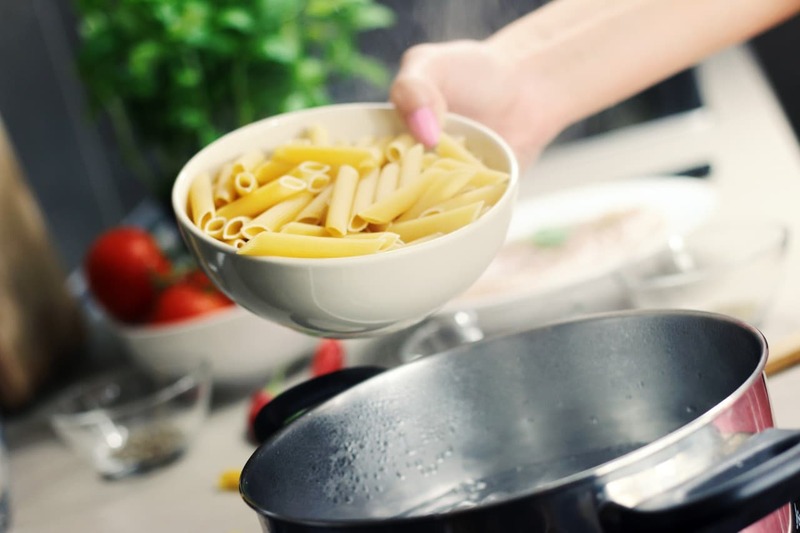 Avoid breaking the pasta to fit your cooking pot. To keep the pasta shape intact, add pasta to water all at once and always use a larger pot. Immediately stir the pasta after adding into full, rolling boiled water, or else it will stick together. Avoid adding oil to the boiling water. It will not only coat your noodles with a fatty layer, but will also trouble you with proper sauce absorption to get the real taste. 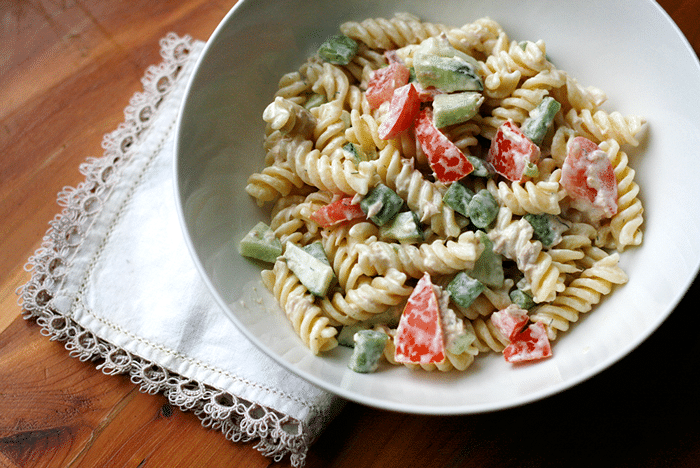 Do not ever rinse the boiled pasta, unless you have to serve it cold such as for pasta salad. ​If you don’t want to serve pasta immediately and suspect it will stick together then simply stir it in a cup or so of sauce. Decrees the cooking time for fresh pasta. Remember, dried pasta takes almost double the time of fresh pasta. My dried pasta usually takes 8 minutes, while for fresh pasta I decrease time to 2-3 minutes, and I get my preferred texture. Pasta is a delicious, nutritious food available in different shapes, sizes, and thickness. Nowadays pasta has become quite popular all over the world and available in different restaurants with some added flavor, which is much localized other than Italian culinary style. Don’t Forget To Share Your Favorite Pasta Recipe With Us!